A pair of brothers in Italy have beat Apple in court, in a legal battle lasting years, to finally be able to name their company “Steve Jobs”, which of course is after the iPhone maker’s late iconic co-founder. According to La Repubblica Napoli (via The Verge), the brothers in 2012 noticed Steve Jobs’ name was not trademarked by Apple, so they decided to start their own clothing and accessory company named after the co-founder. Of course, Apple sued the brothers over the trademark, targeting their logo with a “J” and a bite taken out of it, which resembled Apple’s own logo. An Italian judge ruled the letter “J” isn’t edible like an apple is, so the brothers and their trademark won in court. 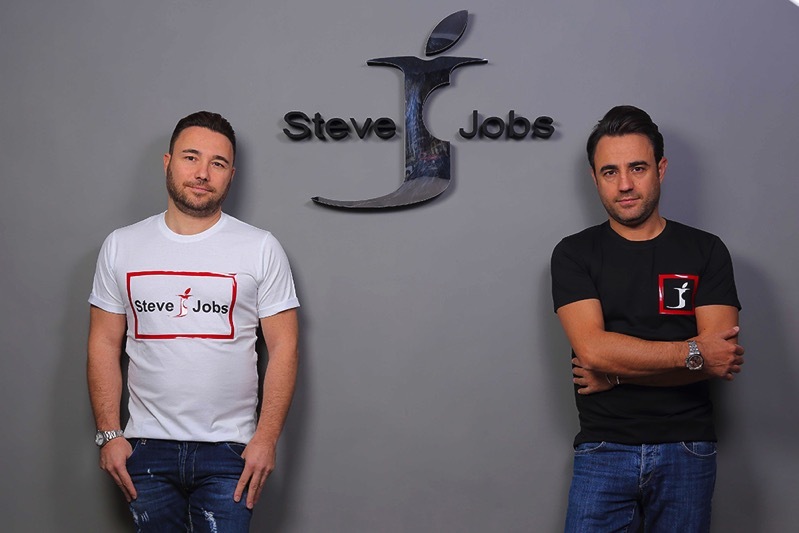 The Italian Steve Jobs brand makes a variety of clothing such as jeans, t-shirts and more, with future plans to release electronics, which may involve smartphones, for example. I did not call ourselves cunning in the negative sense of the term. We want to share this brand, we do not want to keep it just for us. It means that if there are companies or individuals with whom it is possible to carry out important projects we will support them with all the pleasure, to put our brand next to their project. We will give space to many minds throughout Italy, especially Naples, to give the possibility to realize a dream, because Steve Jobs has really left a mark in the universe. Are these brothers being crafty with their company name, or just shamelessly profiting off Apple’s iconic co-founder?